With the economy in slow recovery, a new wave of attacks on collective bargaining, and a presidential election on the horizon, workingwomen’s voices are now more important than ever. 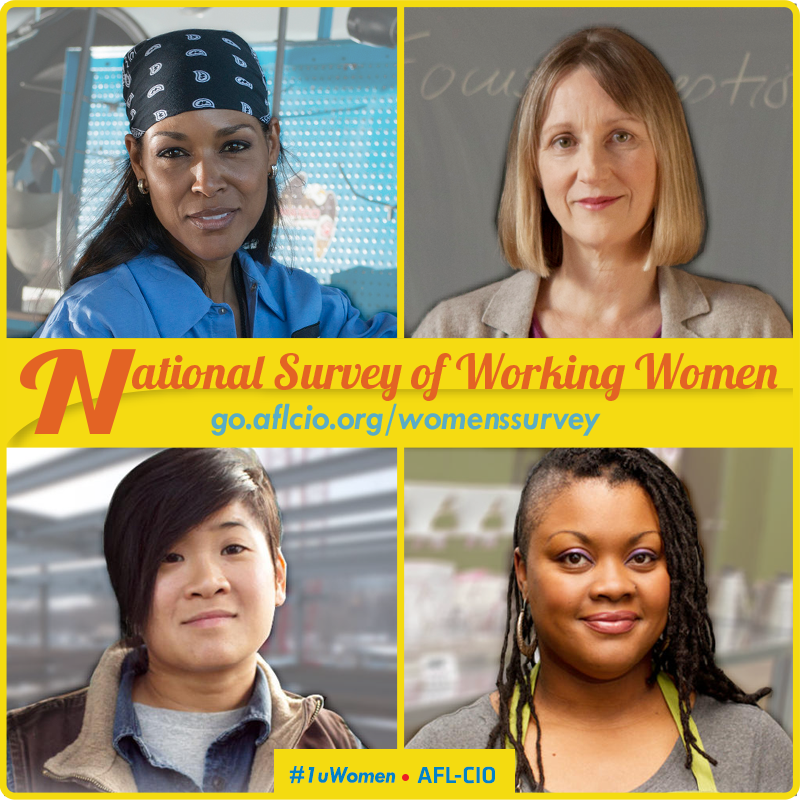 The new National Survey of Working Women was developed under the guidance of the AFL-CIO Executive Council Committee on Women Workers, key partners and affiliates, and experts throughout the progressive movement. With this tool, we hope to capture a multi-faceted picture of the lives of working women across the country, both union and non-union. The survey is available at go.aflcio.org/WomensSurvey. We invite you, your members, and your community partners to participate in the survey. We cannot be successful without your help! Please take the survey, and promote it through social media. The final report will be released in time for Women’s History Month, March 2016.